Last updated 09 January 2019 . By Georgia Evans. Hidden under the railway arches of Clapham North, The Meet has set up shop within the graffiti-stained walls of Fu Manchu. With former executive chef of The Jam Tree, Dominic Taylor at the helm, it seems the pop-up has found its niche, offering laid-back plant-based comfort food and quirky vegan cocktails in a cool, urban location. The first of its kind within the area, it seems that herbivores, and meat-eaters alike, across the south are all buzzing with excitement to see what’s on offer, and of course I was one of them. As the ceiling clattered every so often to the sound of trains passing overhead, the vibe was very laid-back with remnants of Fu Manchu scattered throughout with a large golden buddha by the door, atmospheric purple and red dimmed lighting and a set of decks for when DJs pay a visit. It seems like The Meet really lived up to its name, with lots of little groups scattered around the restaurant, all chatting and sharing small plates with cocktails. The Vegroni, a delicous vegan spin on the classic tipple. I opted for a Vegroni (£9) to start off with, served smokey under a glass cloche with Bombay Sapphire, Aperol and Dolin Rouge. It was a great start, with a lovely ashy aroma to it alongside subtle kick. We chose a selection of small plates to start, the most notable being the Jumpin Jacks (£5.50). I had never encountered jackfruit quite before; this fruit of the moment is often served deep fried or strung out to create an almost pulled pork-like texture, however The Meet have reinvented it, battering it and serving it in a tempura-esque fashion, with pickled pink ginger and chilli sauce to create a light bite. Next up were the seitan chicken nuggets (£5.50), which managed beat to any other meat-free alternatives I had tried. These came alongside a creamy mac and cheese with guacamole (£5.50), while The Give Me Wings (£5.50) were a delicious trio of cauliflower wings, glazed with maple and sriracha to to give them a delicate spice, and finished off with a sprinkling of earthy blue 'cheese'. The McWho? really could rival its meaty, fast-food counterparts. As I ventured into the next course, comfortably filling up from the starter, I thought I would tackle my Mc Who? (£9.50) burger with a Violet Martini (£9.70). Perhaps I shouldn’t have chosen such a sweet drink to take on such a big main but I enjoyed it nonetheless. 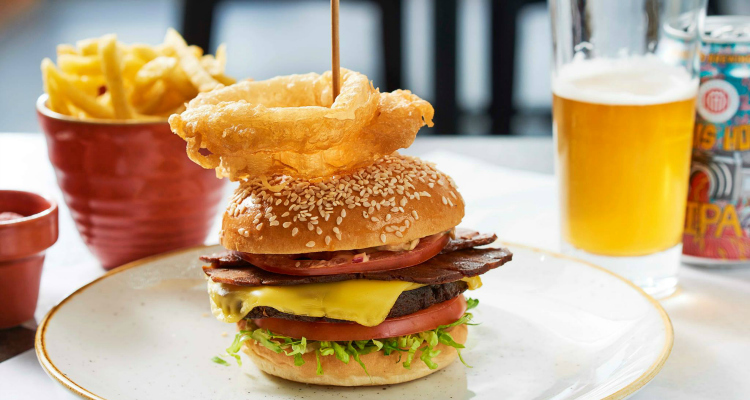 The burger itself was pretty impressive; the soya cheeseburger was juicy, topped with crunchy, smokey faux-bacon rashers, burger sauce and gherkins, all stuffed into a soft bun and topped with onion rings. This was the vegan comfort food I had been searching for. 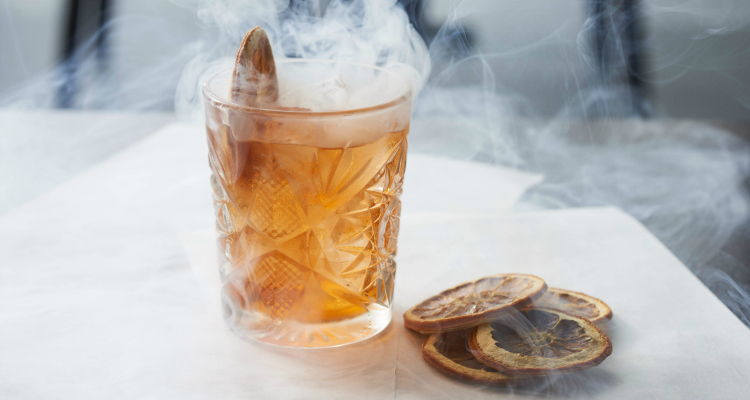 The Meet has a certain offbeat charm to it, with a unique selection of delicious cocktails and comfort food to match. The quirky hangout certainly lives up to its name, as it’s a lovely place to catch-up with mates over plant-based goodies as the occasional train rattles overhead.